Branded as the grandest Mr. and Ms. Chinatown Philippines in its history, the 28 candidates strut down the Mall of Asia Arena stage last September 2, 2018, as they best represented the Chinoy refinement and diversity. After months of rigorous training and preparation, the Grand Coronation Night welcomed the six Chinoy individuals as the winners for this year. A delayed telecast was aired exclusively after Sunday’s Best on ABS-CBN last September 9. 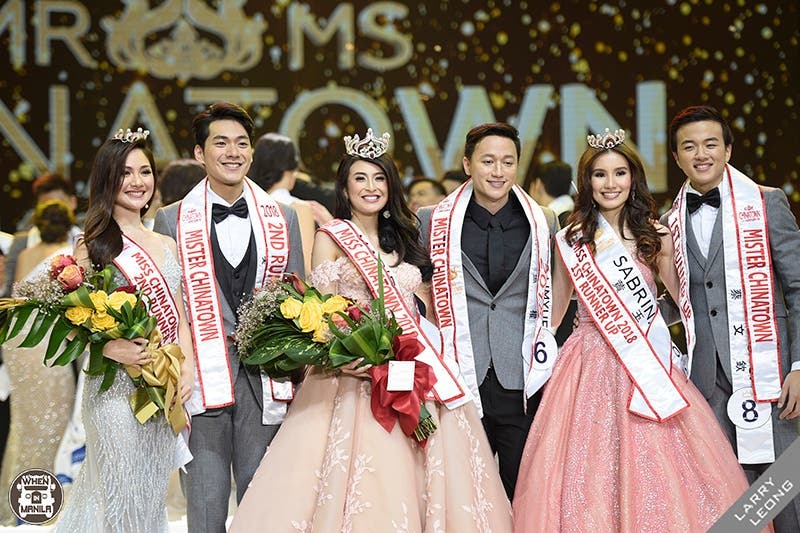 Moises Limyuen and Marie Que wowed the judges in the question and answer segments and were named as the Mr. and Ms. Chinatown Philippines 2018 Grand Winners. The past winners, Joy Wu and Jacob Munez crowned Limyuen and Que, respectively. Martin Leonard Chua and Sabrina Ng bagged the First Runners Up title. The then First Runners Up, Martin Sy and Angela Elpa also graced the hallmark to pass the title to Chua and Ng. Brian Gocheco and Carly Chua brought pride to the country as the Second Runners Up. They were crowned by the 2017 Second Runners Up, Allen Wu and Kency Ongkeco. These lovely ladies and dashing gentlemen, armed with grace and wit are the new ambassadors and ambassadresses of the Chinese-Filipino community who hope to continue bringing homage to it. The pageant continues to support and raise fund for charitable foundations every year, and takes part in continuous philanthropic activities. Chinoy TV, as the organizer, gave a bolder flavor to this year’s Mr. and Ms. Chinatown Philippines. More than a competition, it was a night of individuality and unity that gathered thousands of individuals together to celebrate #BeautyindiverCHIty as one community. Robi Domingo returned in hosting the ceremony with the Mr. and Ms. Chinatown Philippines resident host for five consecutive years, Gretchen Ho, and Chinoy TV hosts Janeena Chan and Willord Chua. People’s Choice Awardees, #10 Jason Tan and #1 Rachel Tan advanced to the semi-finals, and completed the Top 16. Brian Gocheco dominated the special awards as he was named as Best in Swimwear, together with Miss Chinatown 2018 Marie Que; Best in Formal Wear, with Sabrina Ng, and Mr. Tak Chun Group partnered with Ms. Tak Chun Group, Shiela Mae Tan. The candidates coursed through series of pre-pageant events, Press Presentation, Fashion Show, Cultural Costume Competition and Talent Competition. Darlings of the Press awards were presented to Lawrence Chua and Rachel Tan. Best Model and Best in Cultural Costume awards were both brought home by Jason Tan; together with Marie Que and Chinzen Viernes, respectively. Best in Talent awards went to Martin Chua and Frances Que. The 2018 Mr. and Ms. Chinatown Philippines is presented by Tak Chun Group, proudly organized by ChinoyTV and co-presented by Federation of Filipino-Chinese Chamber of Commerce and Industry Inc., Miss Chinatown Foundation and ABS-CBN. For more details and updates, like/follow @mrmschinatownph on Facebook and Instagram.